They Tantalize My Grey Matter! The Images Used in this blog are for representative purposes only. No commercial usage is intended. Still, if any objection, Do let me know. The image will be removed immediately. What You Loved the Most! Book-reading is a very fascinating experience. The experience of reading book is like opening up of few closed and unseen doors in your mind. You think, that’s it! There are no further roads. The moment you think whatever was there to learn, I have factored all that in my existence and all of a sudden you come across a perspective that was not thought before by you. 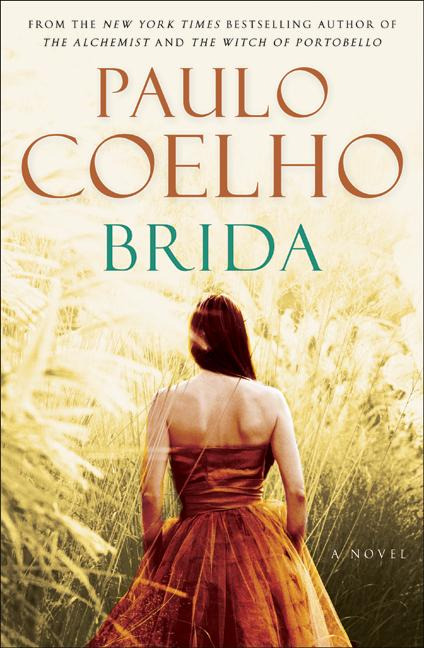 I just finished ‘Brida’ by Paulo Coelho and found it to be an ordinary book. Nothing earth-shattering was there. However, few lines here and there, as has become my habit, found themselves under my marking. I can’t help this habit and I don’t think I will prefer to change it any way. Probably that’s my way to leave my mark on the history of a book and make me believe that yes, I have finished this particular book and these underlined lines were worth stimulating my intellect. Paulo Coelho was always a writer of masses. He does not come up with psyche-analysis. His themes are always common within the range of love, spiritualism, destiny, God, black magic etc. he simply ‘tries’ to motivate you in his own predictable way. Considering his history at mental asylum and years of failure coupled with wandering lust, he did make it big. Big enough to produce few best-selling books. More than anything his transformation fascinates me. Another strong point of his is he not a pseudo-intellectual. He does not even try to be an intellectual. His language is as simple as can be applied to a novel. I doubt his books can ever satiate the undefined and inexplicable taste of ‘so called’ intellectuals but then I don’t think that segment was ever his target area. I get the feeling that he knows his area of strength and proficiency at subject matters and he simply does his job in a smooth way. As far as I think, Paulo’s greatest contribution is towards initiation of thousands of non-readers into the habit of reading. I know at least 5-6 such guys who read a bit (however little they do) just because they started with his ‘Alchemist’. That itself is a great achievement for any author.